Lyme Rib Rides Ltd07790 400300work Boat TripsLyme Rib Rides delivers both fast and leisurely boat trips up the stunning Jurassic Coast, run by our qualified and experienced skippers, so you are in safe hands. Our boat trips are suitable for the whole family. 'Sea Spirit' our Rigid Inflatable Boat (RIB) seats 12 people and is purpose-built to the highest safety standards and regulations. Our boat has twin Honda 250hp engines that provide a smooth, fast ride and with our leather bench seats comfortable too. We provide Kru Automatic Sports and Junior life jackets. Waterproof jackets are also available upon request. -Rib Charters - 1/2 hour 1hr, 1/2 day and full day charter for leisure and commercial purposes. Get on board for fun! Lyme Rib Rides delivers both fast and leisurely boat trips up the stunning Jurassic Coast, run by our qualified and experienced skippers, so you are in safe hands. Our boat trips are suitable for the whole family. For more information and to book online for a 10% discount visit www.lymeribrides.com. If you have any issues or questions, please call us on 07790 400300. 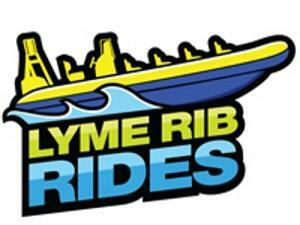 Prices for Rib rides start from £17 for adults and £14 for under 12s. Book online for a 10% discount on published prices.